Visit Pontiac’s Route 66 Hall of Fame & Museum, which features memorabilia from the heyday of Route 66. In Oklahoma, visit Pops, a landmark building selling gas, sodas, shakes, and diner food. At the National Route 66 Museum in Elk City, antique cars and historic documents help you feel what it was like to travel Route 66. In New Mexico, visit Russell’s Car Museum, featuring classic cars and memorabilia. Overnight in Williams Arizona—listed in the National Register for Historic Places and where you’ll see neon signs of the intact circa 1940s “Motel Row.” Before arriving at the end of Route 66 in Santa Monica, California, visit the Barstow Route 66 Museum, which houses a collection of historic artifacts and photographs related to Route 66 and the Mojave Desert communities. Today, we travel through the Missouri countryside, then on to Branson, one of America’s biggest music centers. Join us this evening for our optional award-winning buffet dinner and one of Branson’s top shows. On the way out of Amarillo, see Cadillac Ranch, a quirky art sculpture consisting of a collection of 10 Cadillacs. 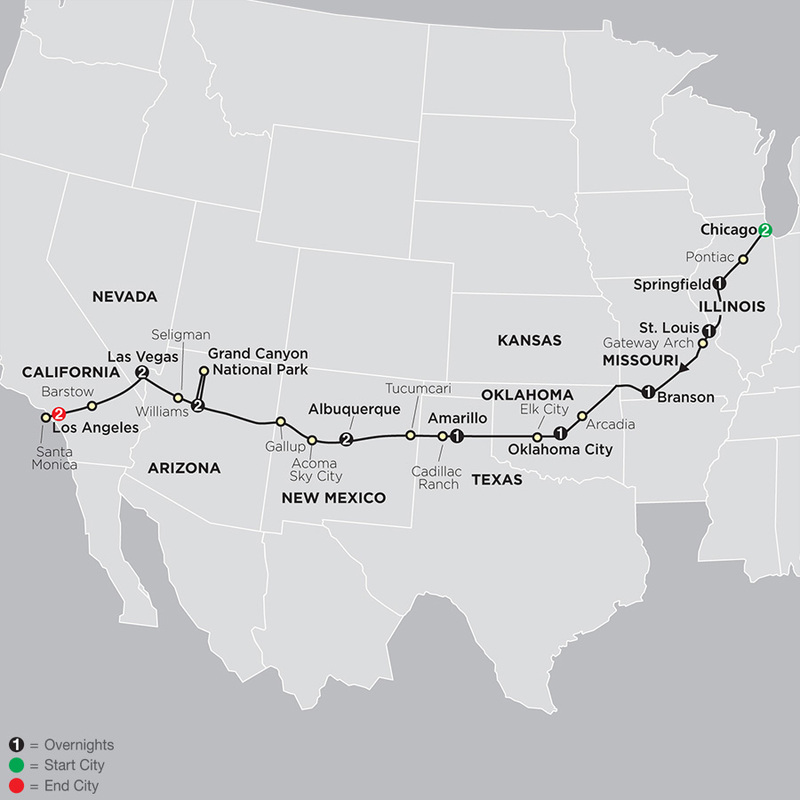 Before crossing into New Mexico, reach Adrian, the halfway point on Route 66. Across the New Mexico border, visit RUSSELL’S CAR MUSEUM, featuring classic cars and memorabilia. Next, stop in Tucumcari and shop for souvenirs at Teepee Curios, and see the neon signs of the Blue Swallow Motel that has been serving travelers of Route 66 since 1939. Visit Central Avenue in Albuquerque, where many of the original Route 66 buildings and businesses still stand. Afterward, there’s free time in this original Spanish town with its fine parish church and Spanish-style plaza. This morning, enjoy a leisurely breakfast or sunbathe in the New Mexico sunshine. Consider a short walk to Old Town, site of the city’s original settlement. Hone your bargaining skills with the local craftsmen who line the square to sell their lovely silver and turquoise jewelry. 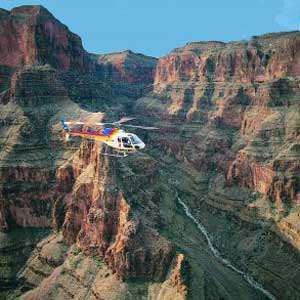 After exploring more of this atmospheric city, seize the chance to ride the world’s longest aerial tramway up nearby Sandia Peak Mountain and witness spine-tingling views of the desert floor, forests, and canyons below. This morning, visit ACOMA SKY CITY, home of the Pueblo Indians, situated on 357-foot-high sandstone rock. It is considered to be the oldest continuously inhabited village in the United States. Learn about this city and its inhabitants, and peruse Acoma pottery and jewelry. 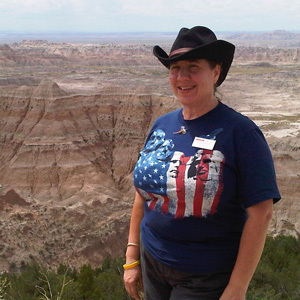 Then, cross the Continental Divide and continue to Gallup, which claims a longtime Hollywood connection. 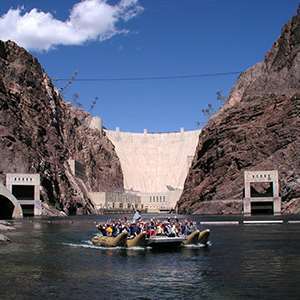 From Redskin, filmed in 1929, to the more recent adventures of Superman, the area has provided unequaled movie scenery. 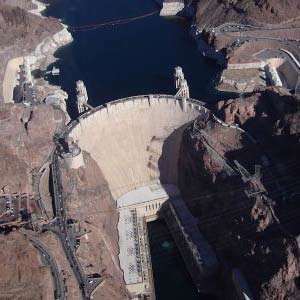 The next two nights are in Williams, gateway to the Grand Canyon, and listed in the National Register for Historic Places. The Historic Downtown District covers six square blocks and boasts a rich heritage that features the Old West and Route 66. Depart Williams for Seligman, home to the rebirth of Route 66. 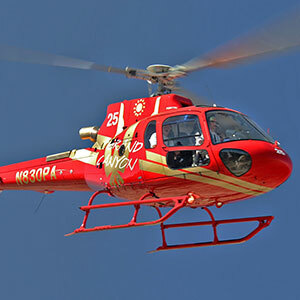 Detour once again from Route 66 to visit the bright lights and excitement of Las Vegas. An orientation tour upon arrival shows off many of the themed casino resorts along the colorful “Strip." This evening, join an optional night at a dazzling show featuring top Vegas entertainment. Savor the exciting “City of Angels” on our morning tour of glamorous Beverly Hills, Sunset Strip, Hollywood, and Santa Monica, the ending point of Route 66. Return to Los Angeles where the rest of the day is yours to perhaps shop for souvenirs or relax by the pool. Your vacation ends this morning. You can extend your vacation with extra nights and explore Los Angeles further. Your Tour Director will have suggestions. 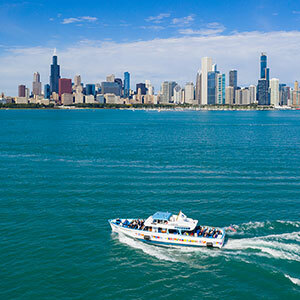 Chicago boat tours tell the story of more than 200 years of fascinating social, cultural and political history, and explores more than a century of groundbreaking architecture. Branson's 76 Country Boulevard is famously lined with theaters, which once hosted mostly country music performers but today present diverse entertainment. Enjoy a show and dinner in this lively Ozark town. 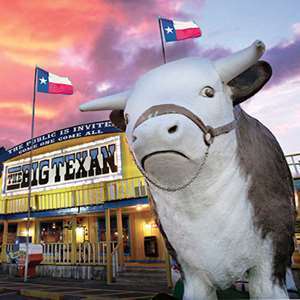 Open since 1960, Big Texan's distinctive architecture and Old West ambiance has become recognized as a Mother Road landmark with a long standing history of serving grilled steaks and other Texas fare. 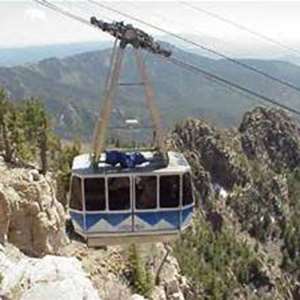 Enjoy dinner and then the city lights of Albuquerque after traveling above the Cibola National Forest aboard the world's longest tramway. 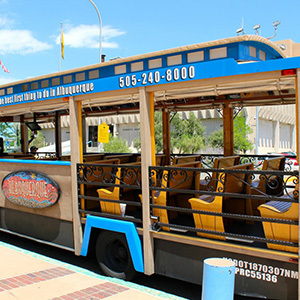 Explore Albuquerque on a trolley tour. "VEGAS! 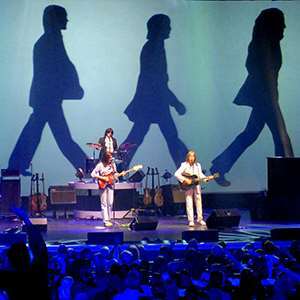 THE SHOW" is all that you love about the old days of Vegas. Join your new friends at a farewell dinner to celebrate your journey.